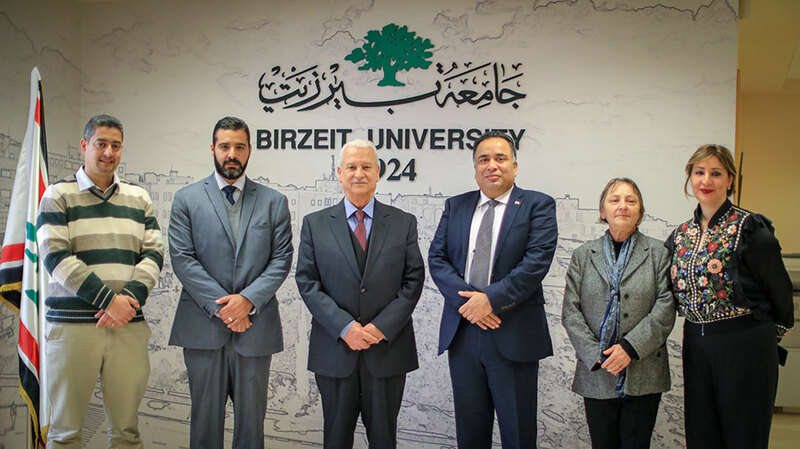 The Ambassador of India to Palestine Sunil Kumar visited Birzeit University on March 7, 2019 and met with the university president Abdullatif Abuhijleh and the Director of the PhD program in Social Sciences Liza Taraki. Both parties discussed prospects of expanding cooperation in academia, joint research and exchange opportunities. The meeting was attended by the Officer of External Academic Relations Amir Khalil, and the assistant to the director of the Public Relations Office Tina Rafidi, and the Public Relations Officer at the Indian Embassy Mohammad Abu Shamseyyeh. 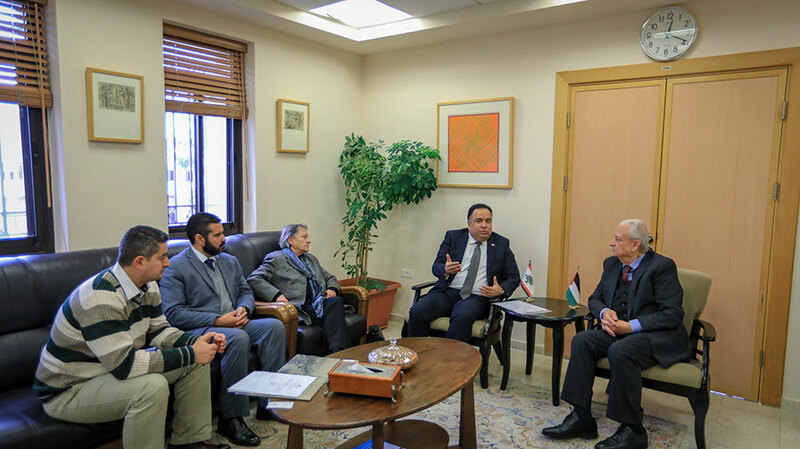 Abuhijleh said that the university seeks to maintain a broad network of international partners within different schemes as part of its commitment to providing quality education to its students and the broader Palestinian community. 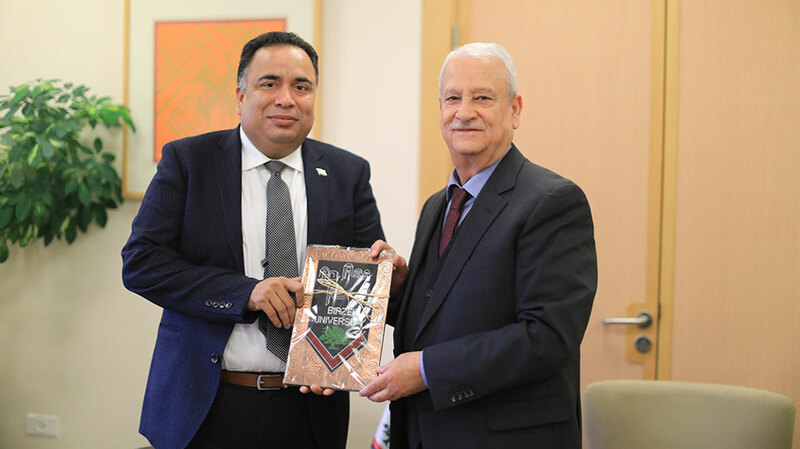 He pointed out to the long-standing relation with the Indian government, and their strong support to the academic and entrepreneurial schemes in Palestine, especially at Birzeit University. Taraki told Kumar about the cooperation that the PhD program has with Jawaharal Nehru University, which was – according to Taraki- very successful in terms of building the students’ knowledge through different modern educational methods and the use of dynamic teaching means. Rafidi and Abu Shamseyyeh talked about the possibility of organizing an Indian culture day on 51st anniversary of Mahatma Gandhi’s death, in addition to foster cooperation with the Palestine Arabic Studies Program (PAS) to teach Arabic to diplomats and expands its horizons to reach India.